1. Determine the float voltage and charging current that you need to charge battery and module's input voltage. 2. 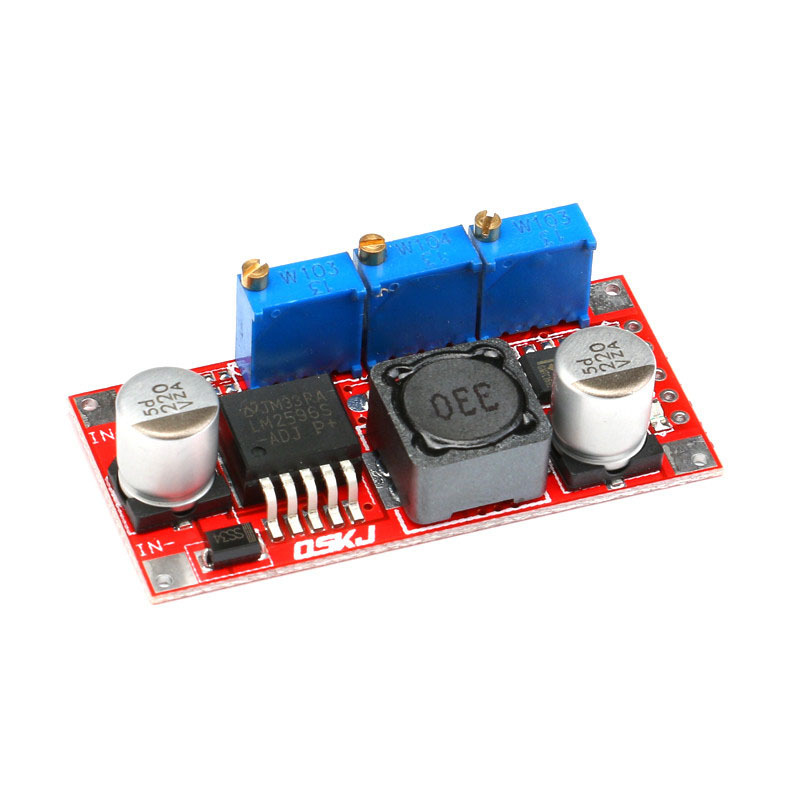 Adjustable constant voltage potentiometer, the output voltage is regulated to about 5V. 3.Use multimeter 10A current block measurement output short circuit current, meanwhile adjusting the constant current potentiometer to make output current reaches predetermined current value. 4.The charging turn lamp current default is 0.1 times of charging current (current value ).If you need, adjust turn lamp current potentiometer please (generally do not adjust). 5. Adjustable constant voltage potentiometer to make the output voltage to the floating charge voltage. 6.Connect battery, to try charging (1, 2, 3, 4, 5 steps is the module input power, output no-load not connected to the battery). 1. Determine you need to drive LED operation current and maximum working voltage. 3.Use multimeter 10A current block measurement output short circuit current, meanwhile adjusting the constant current potentiometer to make output current reaches LED operating current. 4.Adjustable constant voltage potentiometer to make the output voltage to the LED maximum working voltage. 5.Connected to the LED, try test machine. 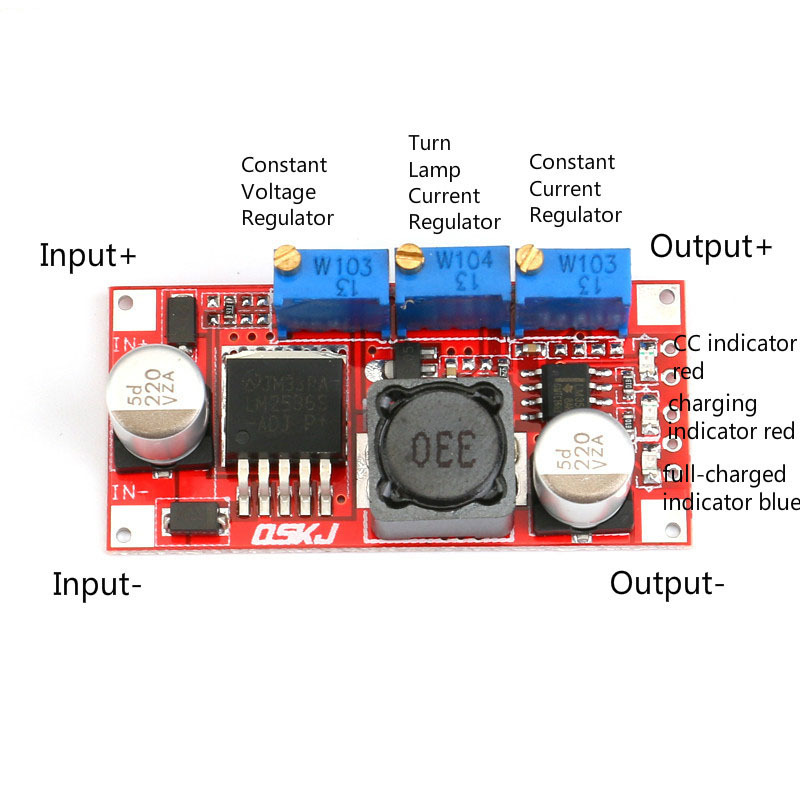 (1, 2, 3, 4 steps is the module input power, output no-load not connected to the LED lamps).